Algonquin might be famous for its summer camping, but the park also offers a unique opportunity to experience iconic Canadian winter activities in one of the most beautiful spots in the nation. Writer and outdoor adventurer, Martin Lortz, decided to try a few himself this past January. Lucky for us, the park plow crew has provided easy access (plowed parking lots) to some of the best snowshoe trails along Highway 60. Trails like Two Rivers, Mizzy Lake, Track and Tower, Bat Lake, and Hemlock Bluff all offer treks from a couple of hours to a full day’s outing. For beginners, the Old Railway Trail out of Mew Lake Campground or the Spruce Bog Boardwalk are a good place to start. There is a small selection of snowshoe rentals at the East and West gates, as well as from outfitters outside the park. Whether you are new to cross country skiing or a Nordic veteran, you are in for a treat. Algonquin Park’s 100+ kms of groomed and track set XC trails are some of the best in the province. At the west gate the Fen Lake Ski Trail meanders for 18 kms through Algonquin’s typical hardwood forest, offering a set track of varying difficulty. The Fen warm up cabin is popular with skiers, as well. For a trail map click here. What puts an exclamation mark on a fine day on the trail: lunch in a log cabin perhaps? In fact you will find two warm up cabins along your way. For a trail map click here. If making your own tracks is what you’re after, the Minnesing Wilderness Ski Trail offers four loops ranging from 6-32 kms of pure back country bliss. This trail is maintained but not groomed. For a trail map click here. It seems that Mew Lake Campground is the epicenter of winter in Algonquin Park, with so much going on. Winter camping, snowshoeing, fat biking, back country skiing – you can do it all here. But perhaps the most memorable experience is the chance to lace up your skates for a few laps on the spectacular ice rink that’s surrounded by classic Algonquin pines. Relax by the outdoor fire pit or in the warming tent as the rink side lights keep things going on into the night. If you bring some friends or make some new ones, there are nets and enough hockey sticks for the quintessential northern experience, a game of shinny. Whatever you do, ice skates should definitely be on your winter in Algonquin gear list. I have now attempted to fat bike Algonquin’s Old Railway Bike Trail two times this winter season. Both attempts were nixed by knee-deep snow! The approximately 12 km trail, stretching from Pog Lake to Cache Lake along the old rail bed, is typically groomed during winter to allow for walking, snowshoeing, cross-country skiing and fat biking. But big snowfalls mean it may take a few days for the groomers to get things tidied up a bit. By what I’m told, however, this mostly-flat trail is a good way to take in the sights and sounds of Algonquin Park. If the fat bike experience is a priority on your to do list I would suggest calling ahead for trail conditions. If you think this sounds cool and worth a try, you can arrange fat bike rentals at Algonquin Outfitters or The Bike Shop in Huntsville. When it comes to spending the night and you want to experience full Algonquin Park immersion then your options are a tent or a Yurt. If a tent is the plan, then you can pick up a permit at the office and head for the backcountry providing you have the necessary gear and experience. If a more ‘civilized’ winter tenting experience is in order, then Mew Lake Campground is the place to be. Here you have the security of your vehicle nearby, access to a comfort station, and all of the above mentioned activities at your tent’s door. If a more permanent structure is preferred, then a Yurt is the way to go. There are seven yurts available for booking at Mew Lake, but be warned, they are very popular and reservations need to be made well in advance. You can also spend the night just outside the park, with many accommodations options available. I was delighted myself to check out The Wolf Den Nature Retreat. Located just minutes from the East gates of the park, this establishment has various options, from dorm rooms to multi-bedroom cabins. Winter in Algonquin Park: experience it once and it will stay with you forever (or at least until paddling season begins). 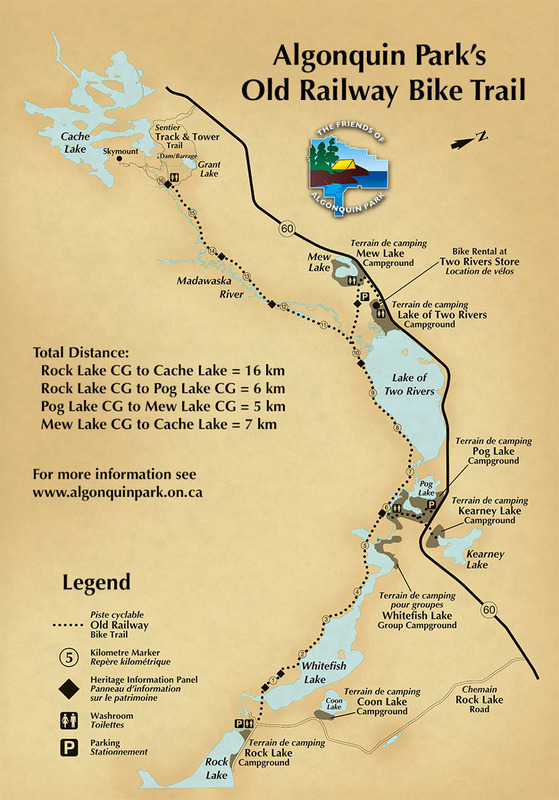 To plan your visit to Algonquin Park, click here. Martin is a freelance photographer and writer specializing in the outdoor lifestyle. Whether he is covering power sports or family-oriented pursuits, his passion for capturing the beauty of nature and the people who partake in it is evident in his work. His photos and articles have appeared in magazines such as Ski Canada, Explore, Bike, Mountain Life, Snow Goer,Kayak Angler, and Family Camping.